New England Water Environment Association (NEWEA) launched the Water Warriors Jobs Initiative to help recruit military veterans to positions in the water sector. Photo courtesy of Brandi Madden, WhiteWater Inc. (Auburn, Mass.) service technician. As a machinist’s mate in the U.S. Navy, Dustin Price was trained to maintain, operate, and repair nuclear propulsion plants. But after retiring from service in 1999, he found himself working three part-time security jobs to make ends meet. Eventually, Price stumbled across a job with the Portland (Maine) Water District. This “accidental” discovery made him a poster child for the Water Warriors Jobs Initiative, a program that recruits military veterans for careers in water and wastewater. Dustin Price, Portland (Maine) Water District chief wastewater operator, attends the 2018 New England Water Environment Association annual conference. Photo courtesy of Cindy M. Loo. Prince’s journey into the sector started with hearing commotion outside his apartment. He discovered his landlord and a broken-down tractor. “I told him I had been a Navy mechanic and could lend him a hand,” Price said. As Price fixed the tractor, the landlord mentioned an opening for a mechanic at the activated sludge facility where he worked in York, Maine. “I wasn’t excited about sewers, but I agreed to take a tour,” Price said. Today, Price is Portland Water District’s chief wastewater operator at the largest plant in the state. The New England Water Environment Association (NEWEA) launched the Water Warriors program in fall 2017 to help recruit more folks like Prince, returning and retiring veterans who could fill vacant water sector positions left open by a shortage of employees. 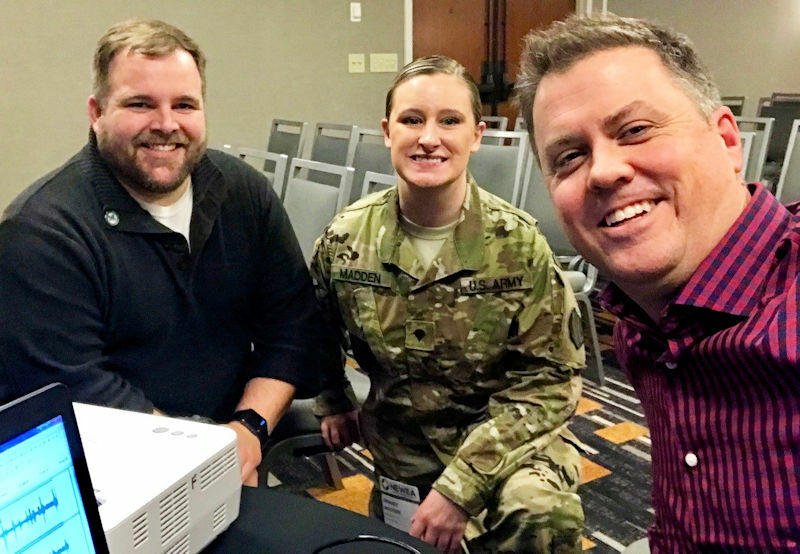 From left, Price and Madden are interviewed about the water skills they learned in the military and how those skills translate to the water sector for a Water Environment Federation (WEF; Alexandria, Va.) podcast by Travis Loop, WEF director of communications and public outreach. WEF photo/Loop. Water Warriors aims to open a line of communication with these men and women by working through existing state and U.S. Department of Defense programs that reintroduce veterans to civilian life. 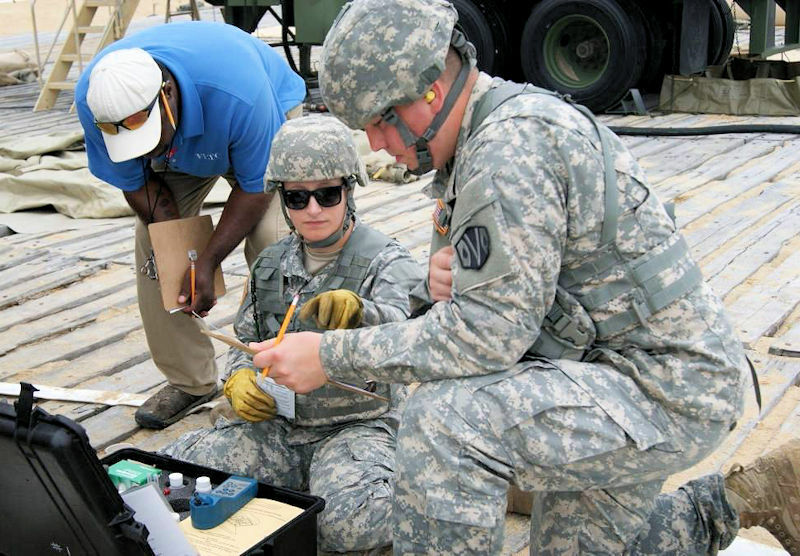 In addition to providing training and education opportunities as well as recruitment and placement assistance, the program works to streamline the certification process for veterans, said Janine Burke-Wells, NEWEA president. 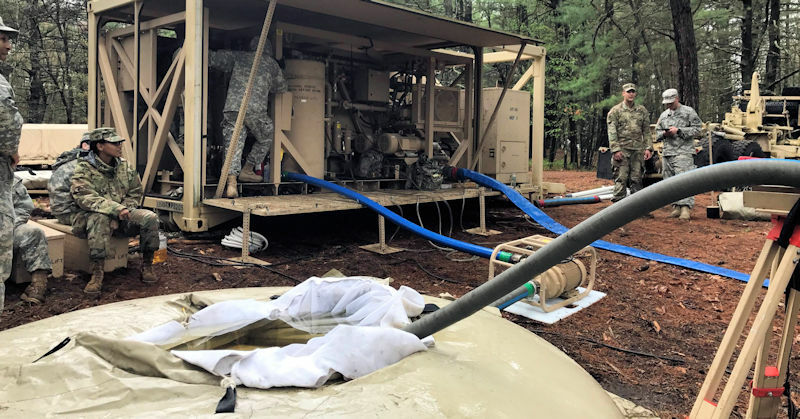 Military personnel can be trained to operate water purification units that use pumps, powered by generators, to move water, skills that are useful and applicable to many water sector careers. Photo courtesy of Madden. The Water Warriors team is working with individual state licensing agencies to review their merit systems and award credit to veterans for time served, she said. 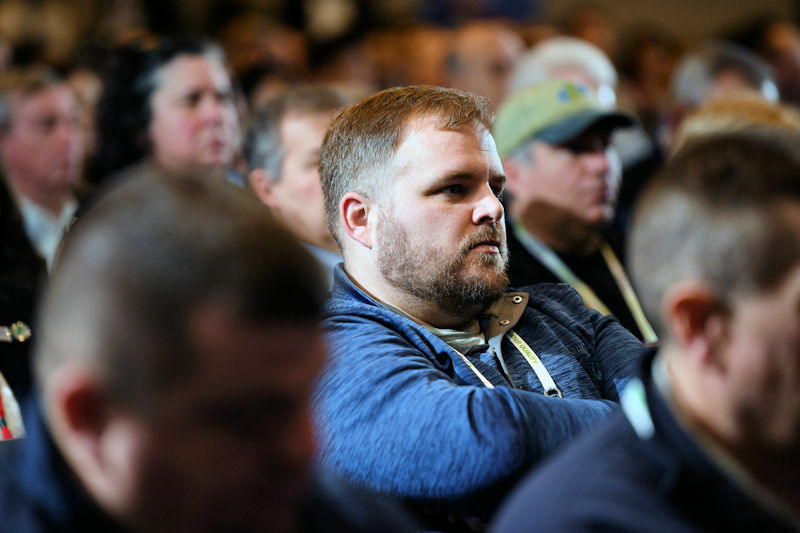 “If we can get regulators to fast-track the process so that veterans can get a Grade 4 license in 3 years, rather than the current 10 or 12, they will be able to rise up the ladder quickly to replace people who are retiring,” Burke-Wells said. “Most veterans currently get no state licensing credit for their service,” Goodwin said, “and we’re losing top-tiered people as a result.” Now, veterans in Maine receive 1 year of experience toward a license, and those who served as machinists or worked on nuclear submarines receive 2 years, he said.